"Newly formed startup company Outlaaw has recently launched its first product on the crowdfunding site Kickstarter.com. 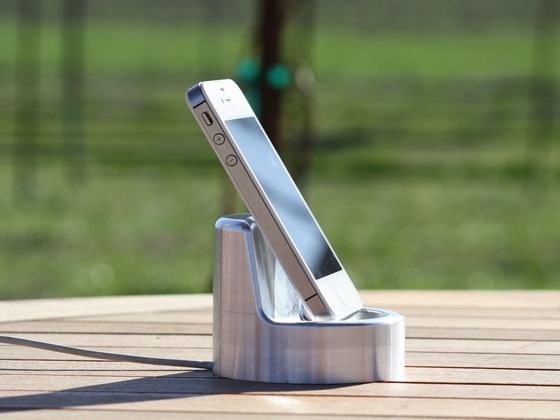 "The Stand" is a sound-enhancing iPhone dock designed from a solid block of cylindrical aluminum." This is a Kickstarter project and it is just over halfway funded. I'm hoping they get the money for this as it really is a cool little accessory. The only problem with things like this, for me, is that with an iPhone 5 coming out this year, I don't want to get stuck with a $50.00 USD piece of aluminum that is incompatible. What are your thoughts?